CCI's Blazer line of ammo comes from the same company that makes a lot of other great ammo, like Federal and Speer. Blazer is CCI's lower-cost range ammo, and comes in both brass and aluminum case varieties. For this test, we used Blazer brass in 9mm with a 124 grain full metal jacket bullet. Like the Blazer aluminum ammo we also tested, the brass version performed flawlessly in all of our test guns. And accuracy at 15 yards from a bench rest with a Glock 19 was good as well. Blazer brass is great for low-cost ammo if you reload. From my experience, Blazer works especially well in my reloading press. Sometimes a press doesn't run quite as smoothly if the brass is too soft or too stiff, but in my particular press-- which is a Lee Turret press-- Blazer always seems to work great. 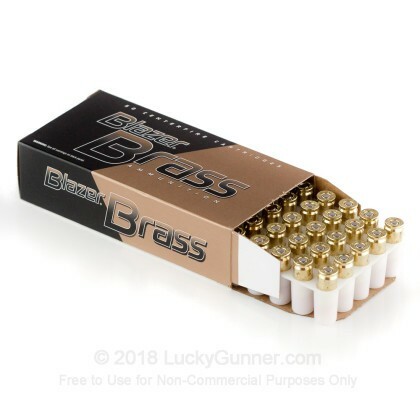 For that reason, along with the cost and the overall performance, Blazer brass is always one of my first choices for brass-cased, factory-range ammo. I used this Ammo to Break-In My "NEW" BERETTA M9A3 BLACK(Italy) and My "NEW" SIG SAUER P365. I FIGURED the BERETTA would eat anything as I have an older one that eat any thing from Top Stuff to Real JUNK! And the SIG SAUER P365 was said to be a little fickle on what it ate, But Both Just Loved this AMMO(500 rounds a piece) and ate all without ANY MISFIRES !!! I'll be buying this Ammo from now on for all My Range Shooting. It shoots straight, and is not real dirty and has a nice recoil even in the Sig P365 with it's 3.1 inch barrel. Try this stuff and you'll be buying MORE !!! I appreciate the previous reviews that steered me to this ammo. I normally buy inexpensive range ammo at my local Walmart but for some political reason they’ve been out of 9mm the past few months. Thanks LG for providing quick service at affordable prices. This particular ammo ran flawlessly through my PPQ M2. I would not hesitate to purchase it again. I've put 4000 rounds through my G17 and G43 and haven't had one FTE or FTF. Fairly clean firing ammo and at a decent price. Great value and great ammo!!! I bought 1000 rounds of this when it went on sale hoping it would work in a couple of my 9mm. It worked in all. I have a Walther CCP that doesn't seem to like 115 gr so I opted for 124 gr. The CCP ate 150 rounds without a single FTF or FTE. I used the other 600 rounds in a SIG P225, CZ75D PCR, S&W M&P Shield, G19. No issues of any kind in the first 800 rounds. Down to my last 200 so looking for this round again. LG is also amazing fast, accurate delivery. Wish shipping was cheaper but whatcha gonna do. I've bought 3 orders now(3000 rounds) and only a handful have jammed. Highly recommend giving this ammo a try, and it's very affordable. Ammo runs clean and shoots fantastic. I am always so pleased with lucky gunner. I love this ammo - works great with Beretta, Sig, and H&K. I've never had one misfire in thousands of rounds. I have shot over 5000 rounds of this ammo in multiple guns including Springfield XD Mod 2, Sig M11-A1, Canik, Smith and Wesson M&P's and Beretta over the past year and have had no issues whatsoever. Great rounds and it has been my experience that they fire cleaner than other top range rounds. Shot around 200 rounds with both my sig MPX and glock 26, no misfires, jams, etc. Accurancy appears to be good also. A little dirty, but not to bad. I am fortunate to have a really great local firearm training program, Man Alone Tactical, and each course involve shooting 600 - 1000 rounds. Lucky Gunner makes it easy to order bulk ammo and it arrives as promised such that I can order the same week of the class and know I will get it! The Blazer Brass has worked almost flawlessly, just a couple of rounds that misfired. I have also ordered the PMC bulk ammo from Lucky Gunner and will try it out this weekend. FYI - PMC is boxed without reference to it being ammunition, unlike the two orders of Blazer Brass I have had sent. 1000 Down With Zero Problems! Great ammo from CCI. Love using this stuff. It burns a lot cleaner than 115 and have not had a single issue with any round through my PPQ M2. Great quality range ammo and my go-to for 124 FMJ. I am very happy with this ammo for use at the range. I've put 1,500 rounds of this through my CZ-P07 and have encountered only one odd situation. This one round had a primer that had suffered some kind of a manufacturing error. If you think of a clock face and take a pair of scissors to cut from 10 to 2 oclock straight across the top of the clock face, that's what this primer looked like. It looked like it had been sheared from 10 to 2 with a sheet metal cutter - a very clean line. I did not notice the problem while I was loading the magazine so it chambered and when I pulled the trigger I had a classic squib - the first I've ever encountered in 45 years of shooting. The primer released a splash or sparks but the round did not fire - very weird I thought. After the obligatory wait & clear I discovered part of the primer was missing and was not to be found anywhere in the weapon or on the bench. So I suspect it came to me in the box this way. A small price to pay for some great range ammo IMHO. I'll be back for more soon. really solid ammo at a great price. 1800 rounds in three days great round. What great value and ammo for the range. We broke in several new guns over the weekend with this ammo, approx 400+ rounds. Recommend highly!!! Great quality for the price, only had a few so far misfire. I'd say 1 in 300. Not bad at all. Never had FTF or FTF with the 115 grain Blazer Brass, it is excellent. Probably 2-3 of every 100 of the 124 grain fail to fire. Very good for range but not sure it is reliable enough for competition. Amazon-like service from Lucky Gunner. 500 rounds with no problems using my new Baretta 92A1. Very pleased and highly recommend. 2000 rnds without a single problem; just clean your firearm once in a while. About to order more. Was recommended to try this ammo after having a lot of malfunctions (failure to feed) problems. Tried this ammo through the first 1000 rounds without a single problem. Just finishing the second box of 1000 rnds still without out any malfunctions. Just clean your gun once in a while. the ammo may be a bit dirty, but nothing significant - if you clean your gun. will be purchasing this ammo again. Great Ammo at a great value. Ammo arrived fairly quickly. Considering I was paying twice the price at the range, it's an awesome value. Only downside, it was left on the door step, delivery guy didn't even ring bell as we were home at the time. Since in live in Philly, maybe not the safest thing to do!! Other than that, no complaints with Lucky Gunner. Will purchase more as soon as I need it!! Perfect for the range. I have never had an issue with this ammo, and this purchase was no different. Already 600rounds fired without a problem. Will be purchasing again. Fired in them in all my 9's. no problems in any of them. Quick delivery , fired all 1,000 rounds in my old Glock without a single problem. I really appreciated the prompt delivery (to the closest FFL as required in NewYork.) Used all thousand rounds with no malfunctions. Recently placed another order. I purchased 1000 rounds to store for prepping and loaded them in a Glock 33 round magazine to shoot out of my JR carbine and I got through about 25 rounds then every other jammed after. So I had a 17 round mag load with 115gr FMJ to see what the problem was, and they ran just fine. Then I checked the back of the box to find out these are plated rounds, so really disappointed in that because I read they were a FMJ not plated on this site. Two thumbs up to Luckygunner to getting the ammo to my house in less then 4 days! On other note the brass was way to soft and my guns would scrap the brass pretty bad so I'm stuck with 950 rounds that don't work for me. Oh well I guess we live and learn right? I shoot this ammo for USPSA, IDPA, and Steel Challenge matches. In the 3000+ rounds I have run in the last 4 months of matches, I had 0 ammo related malfunctions. I have shot about 4000 rounds of this over the last 4 years. it has worked in all the glocks, sigs, and s&w guns i have. it just works. This ammo has worked without causing a single malfunction; 600 rounds and counting; Pleased with the ammo and the prompt shipping. I decided to try the 124 grain due to some malfunction problems. I've put over 600 rounds of the 124 Grain FMJ Blaser Brass through the same gun without a single problem. I am pleased with the ammo and the prompt shipping. As always, ammo was shipped fast and clean and neat! Love this ammo, 750 rounds in, and out without an issue. This particular weight is my favorite, just the right punch and dead on and no issues, just fun. I have shot almost 500 rounds of the 124g blazer brass without a single issue. Yes, it may be a little dirty but you clean your firearms anyway. Overall, great ammo for the price and would highly recommend to anyone looking to get a great cheap ammo. Shot about 100 rounds in my Kimber Aegis and was extremely satisfied with the results! Have shot only a few hundred of these in my Glock 19 but I haven't had a single jam and they are very accurate. Love this ammo. Also the very shiny Finish is a plus to me. Great, high quality ammo. Worth the extra dollar or two.!!! Great value. CC I /Blazer Brass has done well for me for a long time. Have shot thousands of these rounds ,no problems, fairly accurate. Go bang every time. The ammo is what I was expecting. It cycles through my MP 9mm full size with no issues whatsoever. Packaging and shipping were superb. Got a phone call to verify my order due to different credit card address/delivery address. Very professional experience, would buy from lucky gunner again! I checked and the price from LuckyGunner was the best. After ordered, only a few days the ammo came to my house. I like Blazer because both of my Glocks (19 & 43) like it and have had no problem at all! I shopped around and this was by far the best price for a good quality range ammo. I received my order after only three days. Do not hesitate to make this purchase, I know I will definitely be making it again. Great price for good ammo with fast shipping. Don't know of much more that needs to be said. Already shot over half of this within a week of buying. Good range ammo. No complaints no failures yet. I used the 350 or 370 box but same rounds for my police academy. Overall good had 2 jams out of 1000 rounds and one dud round. Good price, I would recommend. I've shot approximately 500 rounds of Blazer 9MM ammo and have not had a single misfire. Definitely will keep using this product. I shot all 2000 rounds at Costa Ludus HET1 training in a three day period. Every round performed as expected. Bought 1000 rds, fired them over a period of two weeks.Shot them with a LC9S Ruger,no misfires no loading or ejecting problems.Due for another 1000. As always, Lucky Gunner has done it once again! Ordered, and 3 days later my box of ammo was on my doorstep! This will be my first time using the 124gr Blazer Brass, but I normally use that grain for my practice ammo, so it shouldn't be that big of a difference. Cheapest prices on the web, and I always recommend Lucky Gunner to my friends and new shooters as THE place to go for the best prices. Thanks Lucky Gunner for the GREAT service. You've got a customer for life! No misfires and it seems a bit more accurate than the 115gr. Definitely a great practice round. Good ammo overall, would definitely buy Blazer Brass for range practice. Service and Shipping was excellent from Lucky Gunner. Great value with great service! I received the ammo on my doorstep less than three days after placing the order. A great value, best on the internet, and 1/3 less than the same product sold at the range. I've used more than 400 rounds so far through a S&W M&P 9mm with no problems. It does burn a tad dirty but it's good for the range and well worth the price. Overall it's a good deal with fast shipping and great service! I will certainly buy more. Kudos to the Lucky Gunner team! Does what I want it to do. I can't ask for more. Best price, fast shipping and my SigP229 Elite & CZ75 D PCR seem to like Blazer Brass in both 115 & 124. Haven't fired all the rounds yet but haven't had a problem so far. I've purchased a few times from LG with zero complaints and I will continue to buy more. My HK VP9 thinks it is just fine. As always my Lucky Gunner shopping experience was great. Keeps my experience and practice going. excellent. My flock loved them! Me too. shot well, great condition when delivered, no complaints. I and friends will buy again in the future. This is the 3rd time I've 1000rds of 9mm Blazer Brass. So I've put about 1000 rds through my Gen 4 Glock 19. It chews them up & spits them out with ease. I will order more in the future without fail & recommend not only Blazer Brass, but Lucky Gunner as well. Good Range Ammo / LG Service is great. First, my interaction with the team at LG was excellent. Very professional, efficient and helpful. Delivery was within 2 days just as promised, right on the front porch. Secondly, I put about 300 rounds through my 92 fs and my wife put 250 through her M&P shield. All the rounds went down range, no misfires, but a little dirty. I will be reordering soon. 550 rounds through a beretta 92 & S&he M&P. No miss fires. Will buy again. Works like a charm. Ran it through my Walther CCP and Beretta PX4 Storm Compact with no problems. Good value and consistent quality. I shoot a Glock 19. No FTE or FTF. Solid punch on the range. I would buy again. Received the ammo at my doorstep 3 days after order placement. Decent ammo for a good price. Great deal no miss fire or jams with this ammo Will tell friends about this web site. Ammo shoots well, a little hotter than American eagle, extremely dirty, to the point that my arm was covered in powder flakes. Excellent product. no issues with it whatsoever. Thanks Lucky Gunner . great service. quick shipping. ammo worked great in both my guns and my buddies guns. will be ordering more for sure! Chris & Angela.... Hey guys, their is not a lot more I can add that hundreds of people haven't already said. I use the ammo for mostly home protection some at the range. You guys have the best deal on anykind of ammo and the service is second to none. I want to say, thanks. Like most of my fellow shooters, you make buying ammo a pleasure. Great all around ammo. I shoot in a Glock 19 Gen 4. Shot couple hundred rounds so far and no probs. Not super accurate but great for range. Shoots a little dirty but no worse than some more expensive ammo I've shot. No duds.no FTFs in over 1000 rounds out of my cz 75 compact. Well worth the cost. Lucky Gunner # 1 in my book. I like the Blazer Brass 124 gr ammo FMJ for my Beretta M9. It's good practice ammo and I can use it for self-defense too. The 124 gr ammo makes for smoother recoil. It's good all around. Prices are still high but this is now my preferred ammo choice. I've gone through almost 2000 rounds and can say that the ammo is high quality and very clean. This was my second 1000 round order. Blazer works great in my Glock 17 and M&P Shield. Shipping was fast but I wish the price was less. Enjoy. Great deal on good ammo, but the ease of ordering and excellent customer service is why this is the only place I go for ammo. You are kept aware of where your order is in the process the whole time, and it arrives in 2 to 3 days. Easiest place to do business with on the whole internet. I ran through about 500 rounds of blazer 124 gr, 9 mm in a pistol class this weekend. I have no complaints. The ammo shot well and, in terms of plinking ammo, it was very clean. Stumbled across Luckygunner.com quite by accident but oh so glad I did! will happily let anyone else I know about this site! Thanks again and unless something changes, I'll be returning! Very easy purchase. First time ordering over the internet but LuckyGunner made it extremely easy; even for IL residents who have to show a FOID card. Ammo was decently priced. Same ammo has finally become available at local stores and is slightly cheaper, but it was worth it to have a full case shipped to my door. I ran 500 rds through my Glock 19 without any issues. Would buy again. Cannot beat LuckyGunner's exceptional customer service! I must say that I was apprehensive about purchasing ammo from an on-line company at first but when my order arrived all of the apprehension disappeared. The 1,000 rounds I ordered arrived in great condition, at a great price, and in a short period of time. I plan to place more orders from Lucky Gunner in the future. Fed, fired, and ejected perfectly in my wife's S&W M&P and my Glock 19 Gen 4 and both of our Bersa BP9CCs. As usual the ammo was shipped very fast and was ecxactly what I expected. 1st time I ordered ammo on line. Ordered Thurs, Received Sat. Ex service.. Was very pleased and surprised at the time frame. Everything arrived in very good condition. Great value and quality!! Thank you, Thank you!! I'm glad I found you..
Used it in my 9MM ... XDM, Kahr, Camp 9, and SW Shield ... No problems, Great service. Good ammo for the price. Fast shipping to. For practice ammo its fine. I've run more than 1000 Blazer Brass 9mm Lugers through my firearms without a single jam or misfire. I just purchased a Ruger SR45, and bought one box of Winchester, one of Blazer Brass, and one Sellier & Bellot. All 230-grain. Well...the WInchester, OK; the Blazer, flawless; and the S&B? One jam in every mag load. I'll keep my trust in CCI. 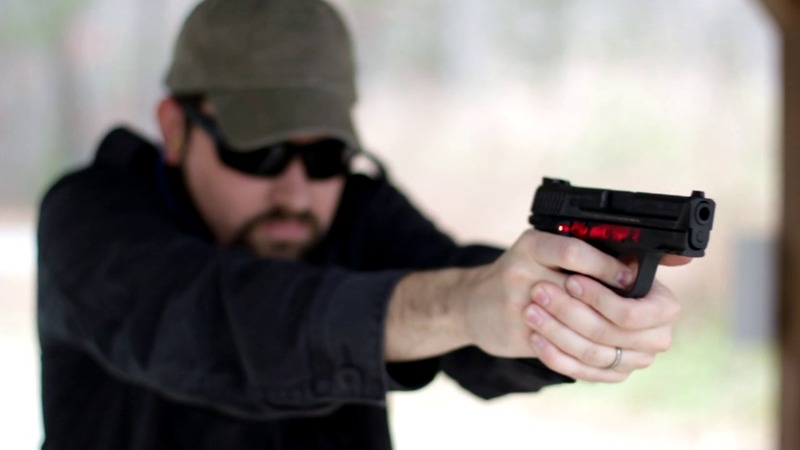 Running it through my Springfield XDM 9 mm with no misfires or misfeeds. And with 19 round mags it's easy to chew through it. Fast delivery - solid packaging (got the double box for no extra charge). Shot over 2k rounds through my Glock 17 without issue. Great price and fast shipping! Use with a new Sig Sauer P290 and kept jamming. Not sure if its the gun or ammo. Gunsmith said ammo. Good ammo for a fair price!! In stock, fast delivery, great product, great price. Thanks Lucky Gunner! I enjoyed this product and would use it again. Good practice ammo. Prices still need to come down. Incredibly fast shipping! Would order again. Both me and my buddy fired about 300 rounds so far....flawless! Fired in my Glock 19 G4, M&P Shield 9 and SD 9....all great! Thank you Lucky Gunner! Very happy with this ammo. No problems. Fast shipping, Thanks Lucky Gunner! bought a thousand rounds for my sig p938. 300 rounds so far and not one single problem. rounds are great!!! took two days for delivery too!! Lucky Gunner has been a gold mine for me! love buying my ammo here. Blazer Brass is a no brainer! Never have problems with this stuff. Happy with ammo so far. Have used about half of the order and had no serious problems. I might have had 1 or2 FTE BUT NO FAILURES TO FIRE. Wish we could get S&h down a bit but all in all, very satisfied. Way to go lucky gunner, another satisfied customer! I’ve had 2 squib rounds in the first 500. Also noticed the O.A.L. of the rounds varies up to .020 not the quality I was expecting. Pretty good ammo, performs nicely with good groupings. Very impressed with the fast shipping. Very happy with this ammo thus far. First time buyer. Fired 150 rounds with my new Smithfield XD subcompact. Smooth with no problems. Shipping is not cheap but super fast if you need it in a hurry. Price even with shipping is reasonable at today's prices. Bought 1000 rounds and will be back for more if the rest fire this good. Shot approx. 500 rds so far with no failures through my glock 19 gen4 and sig p226. Usually run 115gr for 9mm range but this was a good value considering the current ammo situation and decided to try it. I was not disappointed. 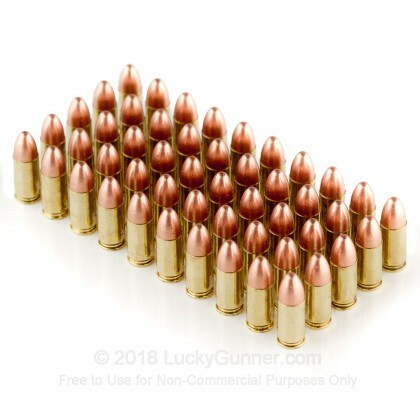 Have purchased a lot of ammo this year from Lucky Gunner and found the prices to be the best, most available inventory and always great fast service.The realtime inventory is great, if it lists as available, then it is. Will continue to buy from them even after the shortage catches up and ammo is more available at local stores. I have fired approximately 500 of the 1000 rounds purchased recently. I have used this Blazer 124-grain at the range thru my Glock 19 Gen 4 with zero FTF or FTE. Impressed! I bought these to use in my 1937 German Luger. Performed flawlessly. Other brand cartridges had jammed before I tried the Blazer Brass' FMJ. I will continue to buy from Lucky Gunner, they are the best! good ammo. this is my second purchase of 1000 rds of the blazer brass 124gr. Performs as expected, I've fired about half of it with zero issues. The only thing that could make this better is getting it on sale ! 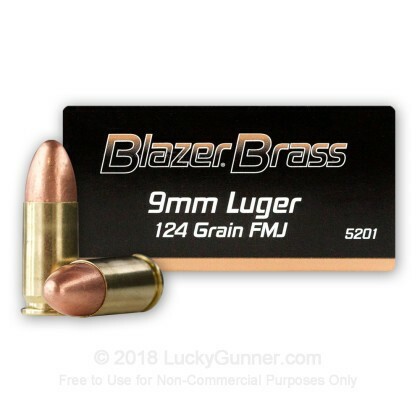 The ammo is great for practice and I haven't had any issues with Blazer Brass. I'll keep coming back to Lucky Gunner! Lucky Gunner is the best. Great 9mn ammo at a great price. 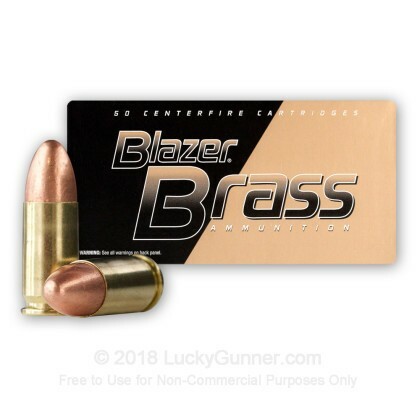 I am very impressed by Blazer Brass ammo and have used it in a number of different calibers. The ammo cycles my Glock 17 perfectly and I cannot remember a failure in more than 3,000 rounds. My local range is one of the new low lead ones and the fully encapsulated bullet makes Blazer Brass perfect for use there. The combination of Price, Value and Quality really make this one of the perfect practice rounds along with Speer Lawmen [for those of us requiring low lead TMJ rounds]. This is my 2nd purchase from luckygunner.com and I just want to say I am very impressed by them. Very quick delivery, and the ammo works perfectly. I have a XD 9 and never a single jam or misfire. Would definitely buy again. Also, the price wasn't too shabby either!! This stuff is awesome and so is the price. Lucky Gunner does it again. Lucky Gunner has a good price on this sweet ammo. It shoots accurately and clean. What else could you ask for? Lucky Gunner is the best. They even threw in some Champion shooting ear-muffs for free. They are awesome. I usually use my battery powered ANR ear-muffs at the range etc but the free ones that Lucky Gunner sent me are extremely quiet. Especially when you have a dude shooting a stinking cannon next to you. I will certainly order more of this ammo and most certainly it will come from the fine folks at Lucky Gunner. Fast shipping, great packaging and customer service. Great price goes bang every time !!!! Great price great ammo, fast shipping, Best value for bulk ammo anywhere !!!! My wife and I have purchased a Beretta PX4 Storm 9mm and are now going to a local shooting club about ever other week. I am very happy with Luckygunner and this purchase. First thank you to the outstanding staff that answered my emails and helped me to find this product. The ammo fires clean and smooth through my pistol, there is nearly no notice between this 124g and the 115g 9mm ammo. We have shot a 100 rounds and are planning to head back again this weekend to fire more. The only down side is I wish I could have purchased more! looking forward to all future dealings with LuckyGunner and using Blazer ammo. This is my second bulk ammo purchase and both have been extremely smooth and painless. Blazer Brass has been a quality round for my guns with no problems in almost 2k rounds. Delivery speed has been phenomenal with no issues. Can't find better prices for range ammo! I'll buy again. This ammo shoots excellently and doesn't gunk up your gun. At such a low price it's a great deal! I've had good experiences with this in 115 gr. and 124 gr. All 2,000 of those rounds went through my Walther P99 AS with zero faults and left its innards unbelievably clean. For the P99, 124 gr. seems to feel better, hit a little higher-- It's (I think) 100 fps slower than the lighter 115 gr. stuff, so the perceived recoil seems lighter. This was my third bulk purchase from Lucky Gunner this year.. Service, price and speed of delivery has always been great! LuckyGunner is now my only ammo source. Tried this Blazer ammo last week for the first time. Shot 200 rounds through my XD(m). Performed flawlessly. I don't think you can go wrong with any CCI brand. It's made in America! Thanks again LuckyGunner! Lucky Gunner has been a great source for great ammo this blazing brass is no exception. Everything ship quickly and come in as described. Will certainly order again. Thanks! It's All Good! I've ordered several times from LuckyGunner, always quality ammo at the lowest price I can find. Most importantly if it's listed on the web site, it's in stock. Have driven 90 miles to buy ammo on sale, only to find out they're out. No rain-checks. That never happens here. Always arrives on or before promised delivery date. Quality Ammo. Would definitely order again. Good Quality Ammo. Clean fires. Shipped real fast. Great price, great product and fast delivery. It has a little more kick than the Aquila ammo but, overall a great product. Have had very good luck with this ammo. Would buy again. Outstanding service. Speedy, prompt delivery. I shoot competition, so I shoot up lots of ammo. Also train A LOT and regularly use 500 to 1000 rounds a weekend. Lucky Gunner is the THE only place I buy my ammo. Service is by far the best. Some times it's almost to fast. I've told most of my competition friends and they all say...Oh yeah, we've been buying there for some time. Of course, I say thanks a lot for telling me you bunch of....... I recently switched to the 124 gr. from the 115 because some the steel poppers weren't going down. 124 gr does the trick. To the best of my knowledge (and I've shooting for over 50 years) there is no place that even comes close to Lucky Gunner in any catagory. Best price for brass cased ammo, went before with Tula but my mags did not like the cold steel. Customer service is the best in the web, my only issue is the tell-tale ammo box, I would prefer an unmarked box so my neighbors don't freak out, but if that's gonna bring prices up...they can live with that. I have been very impressed Blazer Brass. My Glock 17 loves the stuff , no issues, no malfunctions. And what I love best is, Lucky Gunner has very reliable service and what they show in stock, is in stock. I purchaced 1000 rds. No problems. Thanks LuckyGunner for Great ammo at a great price and fast shipping. My Glocks love 115 grain FMJ, so I wanted to see how the 124 grain bullet would work. I was very pleased. This is great target ammo that I shoot in the Glock 19, Glock 26, and also in the Kimber 1911, 9mm. The case price is a great value and the two day service form Georgia to Pennsylvania is unmatched. Good ammo, good price, and great service. Fired over 600 rounds and not one misfire in my XDM9, best value I've found. Fast shipping great deal will buy again soon. I recently ordered 4 different brands of ammo to test out on my new Glock 17. I ordered a 100 hundreds of this Blazer Brass, no issues, no malfunctions. For the price and reliability of this ammo, its a really good deal. I'm probably going to go ahead and order 1000. I've fired 500 rounds without a problem. They're inexpensive, but reliable. I'll purchase them again. I'll also make the purchase through Lucky Gunner again. Very reliable service and what they show is in stock, is in stock. I'm impressed at their great prices and super fast service. This ammo feeds well on my Walther PPQ. I already used 500 rounds and will buy this ammo again. 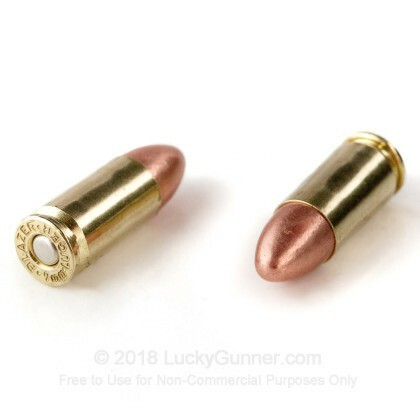 Q: Have you thought about using a different term for copper washed bullets like those used in the Blazer Brass, and brands that are actually using a copper jacket on their bullets ? I consider the authentic copper jacketed bullets higher quality (all other things being equal) and would sure like to see this in the description or specs without having to dig for it. I may choose the copper washed for an indoor range for less lesd in the air, but I wish you would tell us up front. Thanks. A: Hi Jeb. Manufacturers have very specific methods for determining whether they market a bullet as Jacketed or plated. It add depends on the thickness of the plating and there is no industry standard that would make sure everyone is on the same page, so to speak. If a manufacturer sells the bullet as jacketed, and we change that, we can have issues from having done so. I fully understand your frustration and share the same concerns, but as far as out listings, there isn't much we can do. A: The rebate is $1 per 50 rounds ($20 per 1000). The rebate process is fairly simple. You will need a copy of your confirmation email, this serves as your receipt. You will either need a copy of the rebate form, or you can even submit it online here: https://promotions.vistaoutdoor.com/. Depending upon which route you decide to take, the submission process is a little bit different. Physical submissions will require a printed form, receipt and the actual bar codes from the boxes. The online submission, will want a pdf or jpg of your receipt, as well as pictures of the bar codes, and some exterior pictures of the box, as well as completion of the online form. For rebate specific questions I would recommend reaching out to the rebate support line available on the site I linked. Q: Is the brass new or reloaded? A: The brass is 100% new. The ammunition would be marked as remanufactured otherwise. Q: I’m interested in the Blazer Brass 1,000 rounds. Does the price of $185.00 include shipping? A: This price does not include shipping to get a shipping quote as well as a delivery estimate, simply place the product in the cart and on the cart screen enter your zip code. A: Hey Michael, We're sorry, because of the way these rounds are packaged at our warehouse, we're unable to break down the 1,000 round cases into smaller quantities. We're sorry for the inconvenience. Generally, we try to keep a wide variety of quantities on-hand so you can try 50 rounds of a given ammunition before committing to the full case. Thank you for giving us a look and please let us know if you have any other questions! 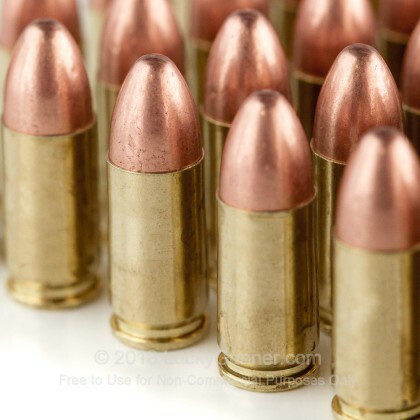 We also have this 9mm - 124 Grain FMJ - Blazer Brass - 50 Rounds ammo in stock in a smaller quantity.